BIRKENSTOCK has applied its core expertise, that of unparalleled comfort, to a new product line. 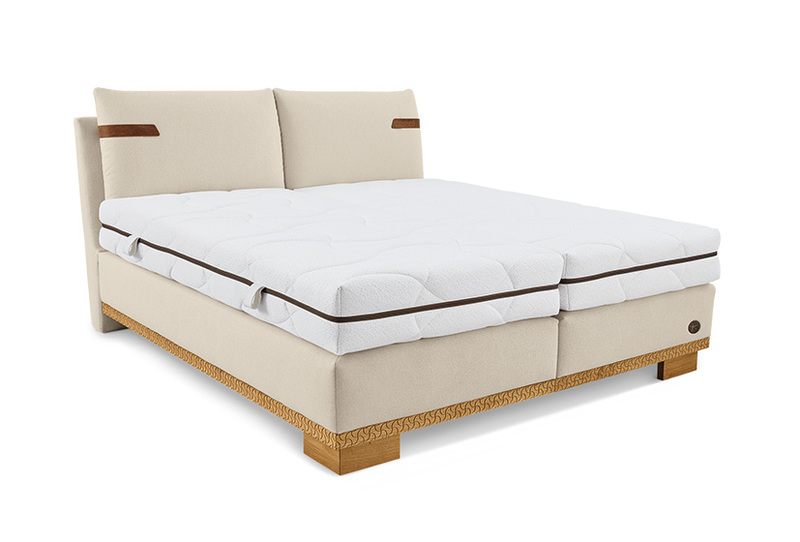 The BIRKENSTOCK sleep systems comprise six high-quality beds, as well as specially developed slatted frames and mattresses that fulfill the highest functional standards. 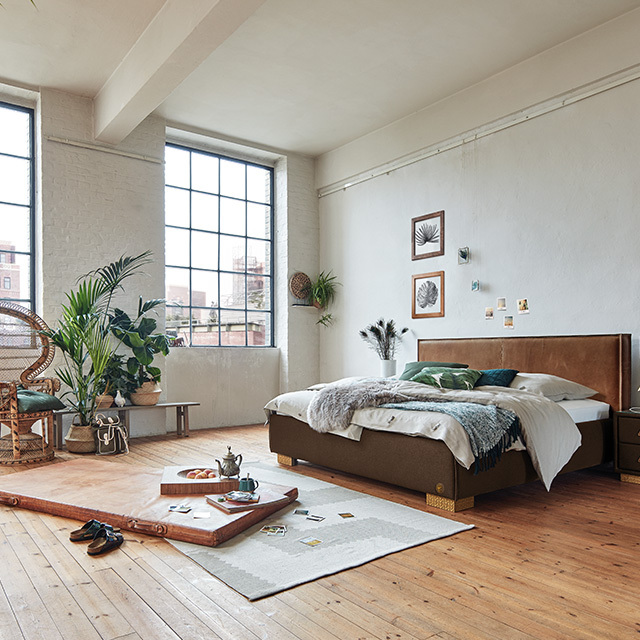 These four box-spring beds and two bed frame models all combine high levels of quality, natural materials and typical design elements with careful craftsmanship and excellent functionality. 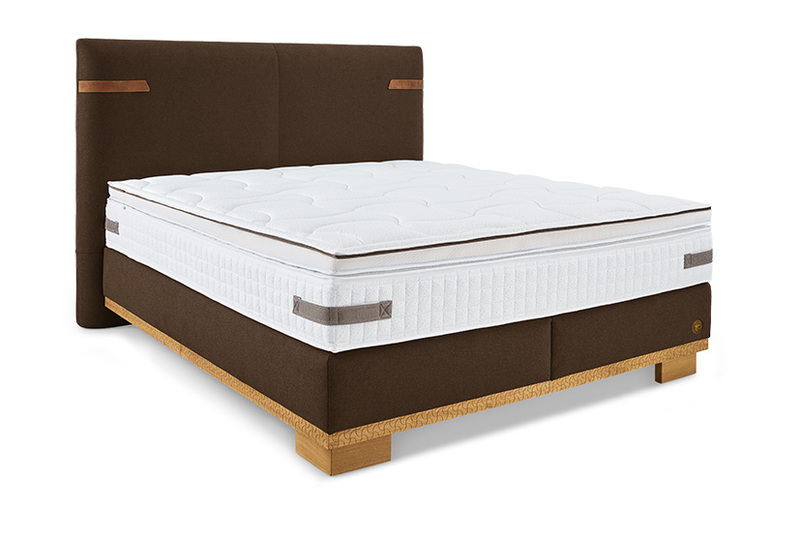 Thanks to their multi-layered structure, box-spring beds offer excellent pressure distribution and optimum support. 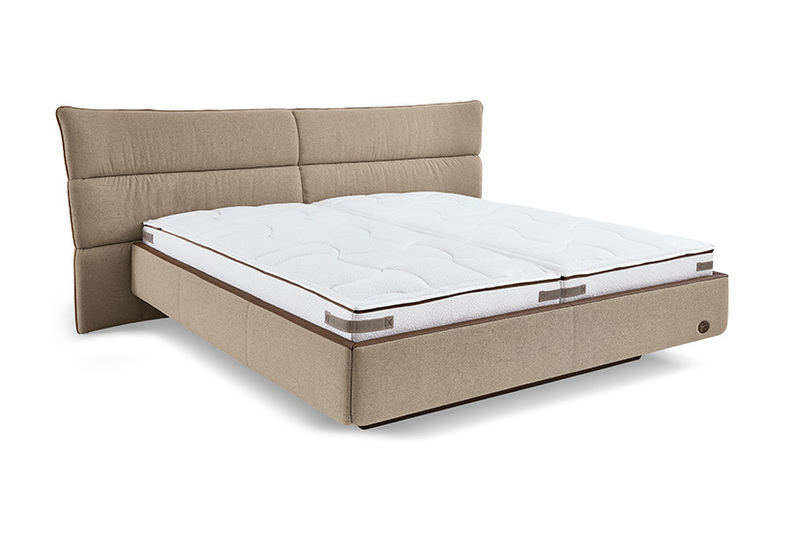 This ensures that they meet our requirements in terms of promoting outstanding comfort and healthy, restful sleep. 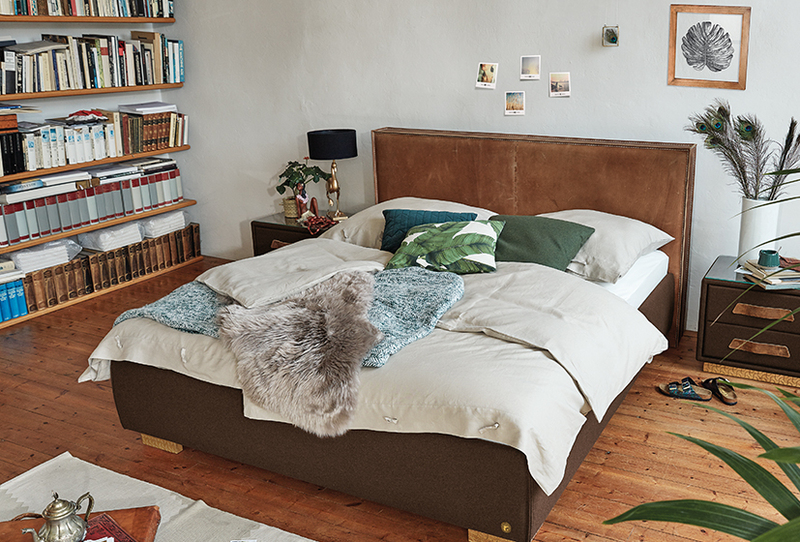 The flexible composition of our mattresses, which feature a cork-latex overlay, topper and pocket spring core substructure, means that the BIRKENSTOCK box-spring beds can be tailored perfectly to your needs – making them ideal for customized sleeping comfort. 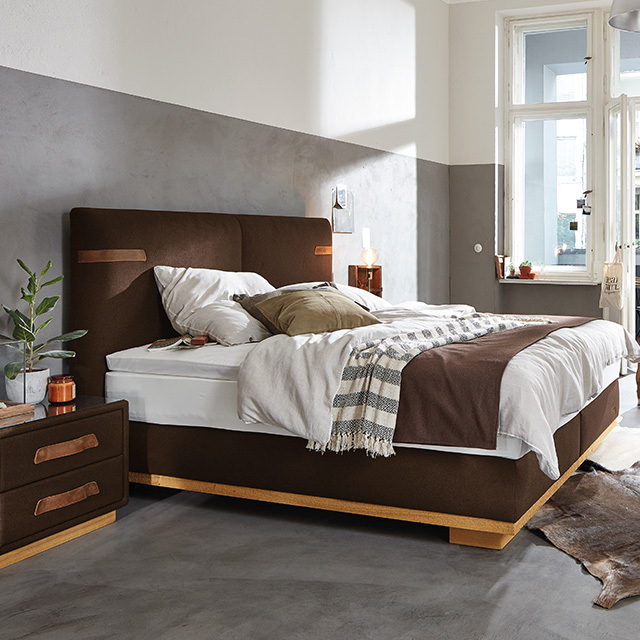 MAINE opens up a new dimension in bed construction, thanks to its unmistakable material mix including smooth nubuck leather, traditional Tyrolean loden and high-quality solid wood. 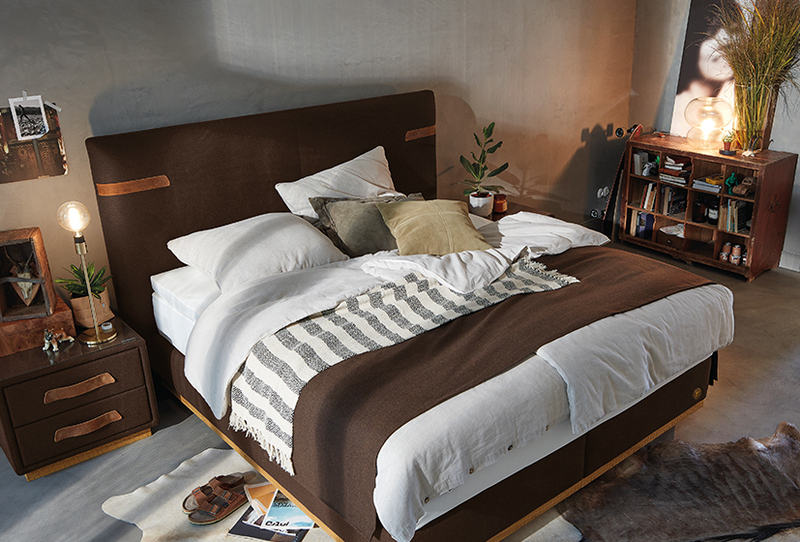 Linear design and warm earth tones: The MONTEVIDEO box-spring bed creates a cozy atmosphere and is sure to turn heads in any bedroom. 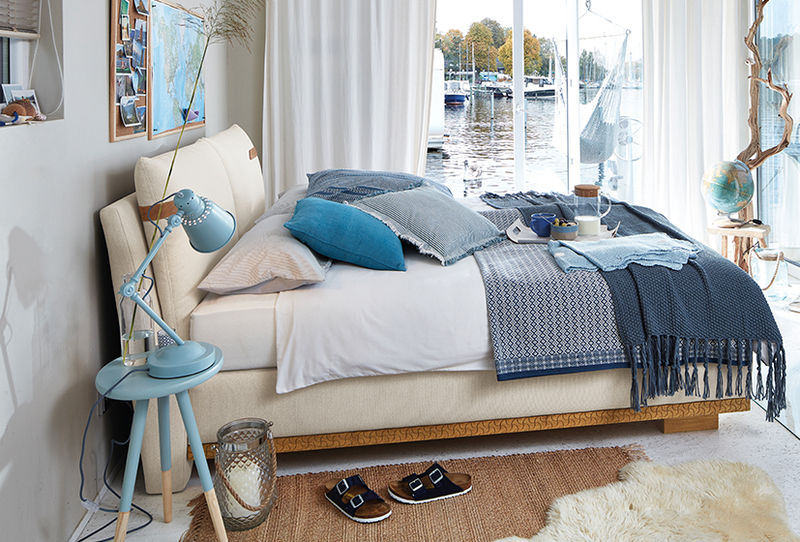 With a comfortable padded headboard and inviting fabric lining made of light-colored canvas, the MONTREAL provides maritime flair and a fresh atmosphere. 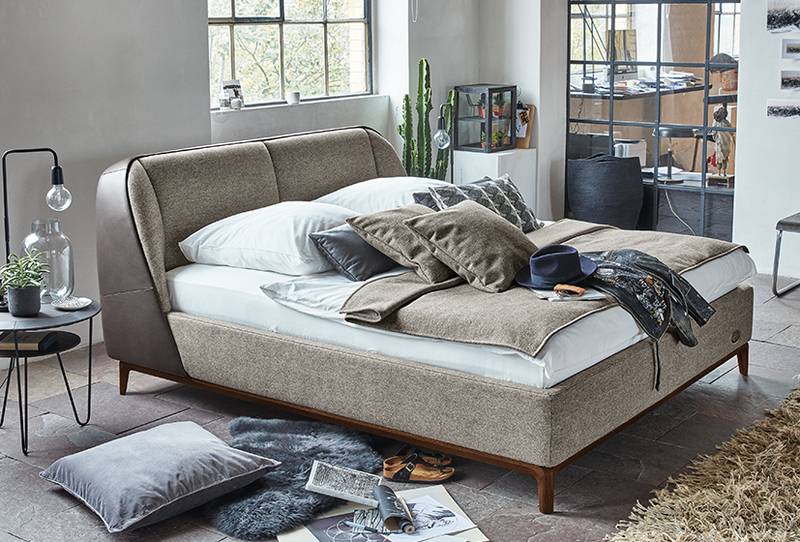 Buitengewoon laag, buitengewoon elegant – en toch een volwaardig boxspring-bed. IONA verrast met geraffineerde details, zoals leren lussen aan het hoofdbord en een houten sokkel. 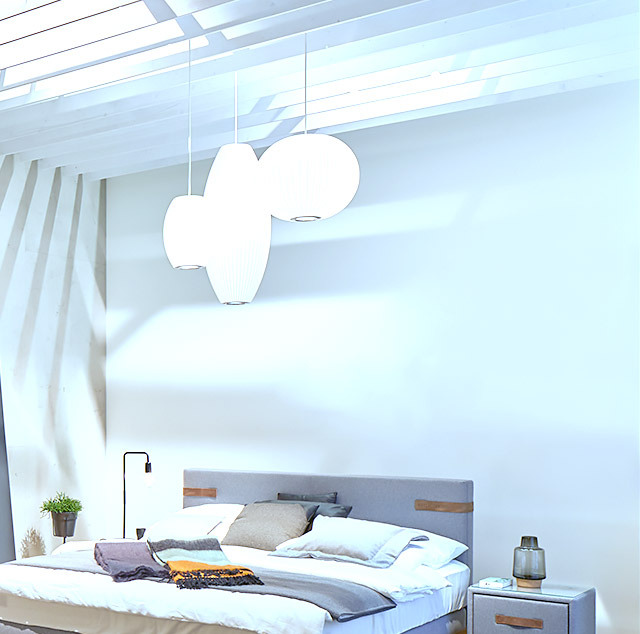 The bed frame models are compatible with our comprehensive selection of innovative slatted frames for direct installation. 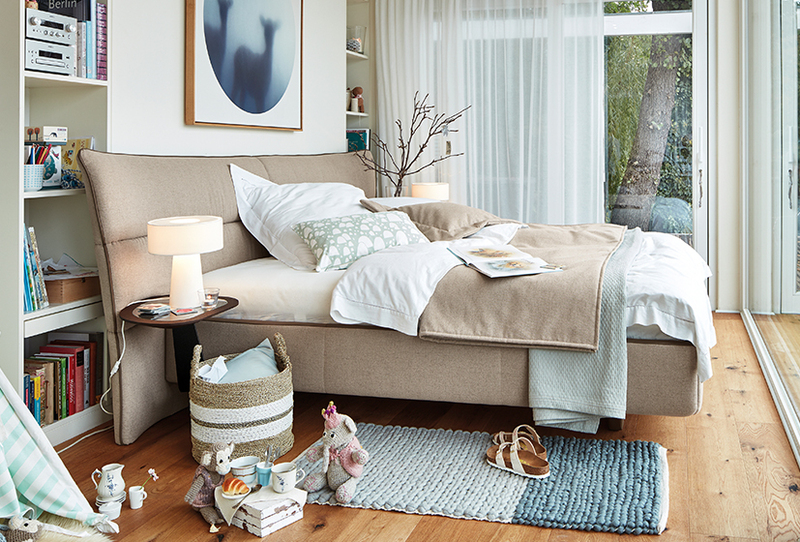 Exclusive BIRKENSTOCK design meets personal sleeping comfort based on our famous footbed. The anatomically designed slatted frames and mattresses are available in a range of versions that combine to provide the best possible support for restful sleep. 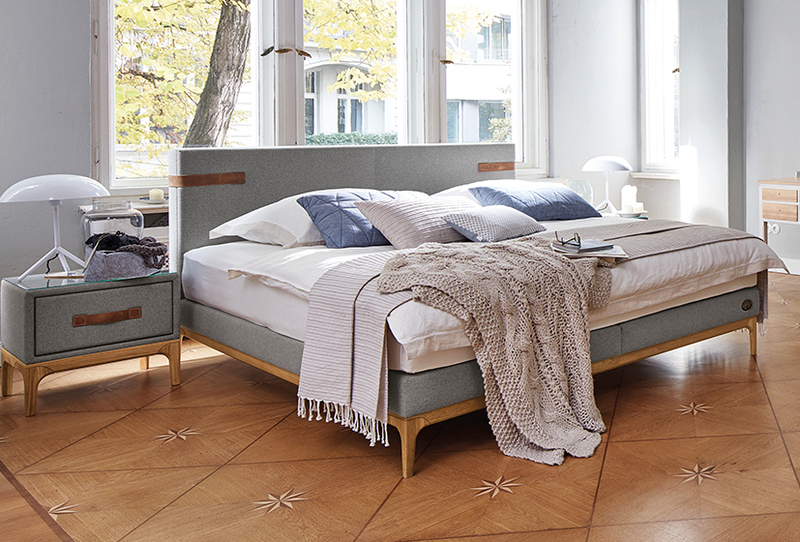 With these innovations, BIRKENSTOCK has taken its principles for walking and standing and applied them to lying and sleeping. 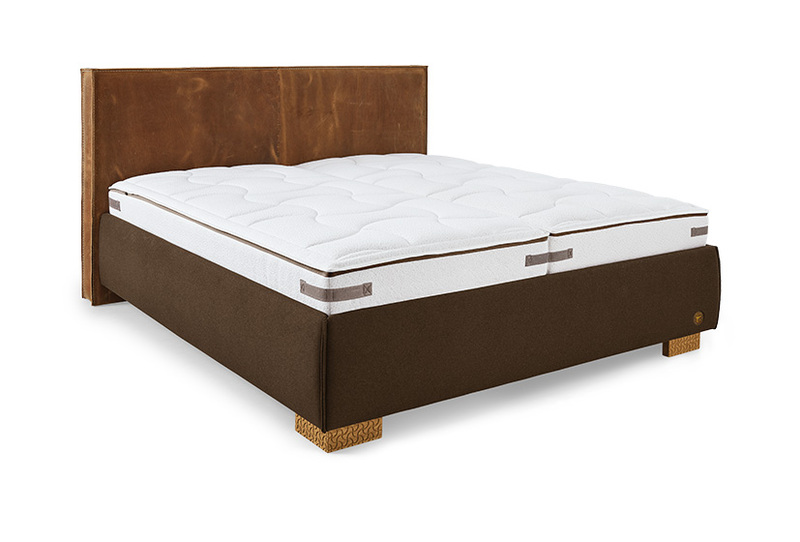 The distinctive headboard in hand-stitched saddle leather improves with age. Unique patterns that become etched in the CANBERRA over the course of time lend it an unmistakable character. 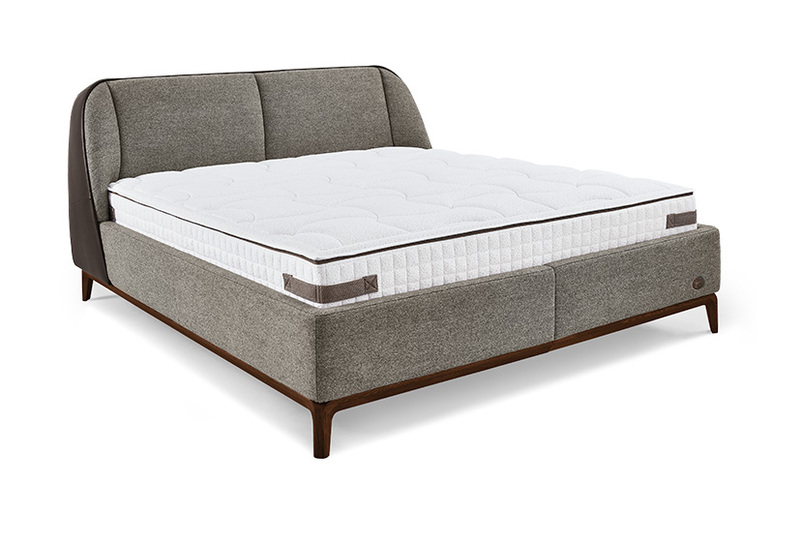 Boasting a floating base and striking headboard, with contrasting piping in genuine leather featuring lovingly hand-crafted curves, the SÃO PAULO exudes a special sense of comfort.